UPDATE: The 2019 QA Training has already been completed. Please keep an eye out at the end of the year for the new registration to participate in the 2020 QA Training. We will be doing our 2019 YKK AP Installation Quality Assurance Training in Dublin, GA across 2 sessions. Session 1 will be February 18 – February 22, 2019 and Session 2 will be February 25 – March 1, 2019. Registration is live and the brochure is updated on the link to the right. The training is open to YKK AP customers in good standing, but seating is very limited. Initial registration is limited to one attendee per company. Additional requests will only be confirmed as space allows. Please send a check for $375.00 AFTER you fill out your registration form. YKK AP will confirm your registration by February 1, 2019. Please make checks out to: YKK AP America – Attn: Veronica Acosta at 270 Riverside Pkwy, Suite 100, Austell, GA 30168 Accepted tuition checks are non-refundable after this date. Please wait until you receive confirmation before making travel arrangements. Project Managers, Fabrication Shop Supervisors, Job Site Managers or Supervisors of Glaziers. Trainees should be selected based on their ability to train the rest of your workforce. 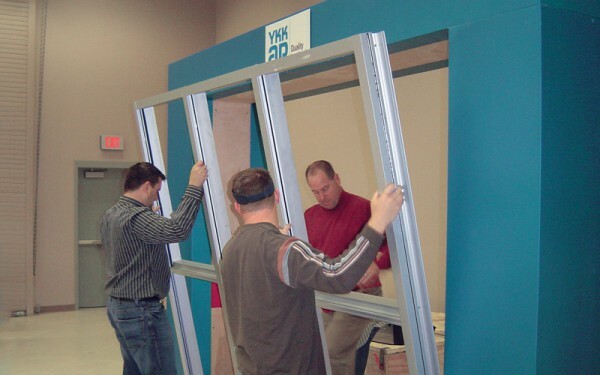 This training session provides attendees basic knowledge of industry standards and installation procedures to ensure proper installation of YKK AP Entrances, Storefront, Curtain Wall, Window Wall and Window Products. YKK AP will provide lunch each day and dinner one evening. Attendees are responsible for transportation to and from Dublin, hotel expenses, dinner (except 1 night) and any other incidental expenses. Travel time between Dublin and the Atlanta Airport is under 2 hours. You will be contacted on or before February 1, 2019 to confirm your registration. Upon confirmation of registration acceptance, YKK AP will send an information package that will include hotel lists (including expected room rates) with maps to Dublin, Georgia and a detailed agenda. It is recommended that attendees arrive Sunday evening. Training will begin promptly at 8:00 AM EST on Monday and conclude by 10:00 AM EST on Friday. If the class fills and your registration is not confirmed, the tuition check will be sent back to you. Once your registration has been confirmed, the tuition check is non-refundable. ANY QUESTIONS? PLEASE CONTACT BART HARRINGTON AT 678-838-6012.